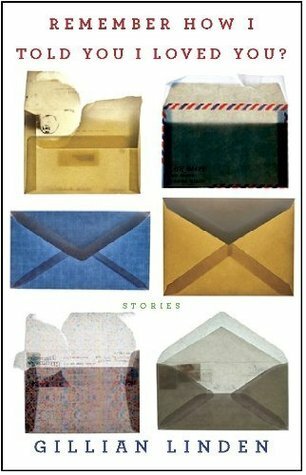 This linked short story collection is the kind of book that gives me hope for the future. Subtle, slim, quiet, and about interpersonal relationships, incremental inner growth, and not much more, it is exactly the kind of book I like and the kind of book I would love to see proliferate. The title–Remember How I Told You I Love You?–has shades of Maile Meloy to it, no? That can’t be a bad thing! Karen meets her in the fall of freshman year. She has another roommate at the time, a scowling brunette named Julie, assigned by the college. That relationship isn’t going well. Julie brings home cups of macaroni and ketchup from the dining hall and leaves them on the windowsill in the room. Karen throws away the cups because Julie doesn’t, and she keeps finding noodles on the floor. If you know me, and know me well enough to know anything about my freshman year of college, you will know why this resonates. Suffice it to say that I experienced this phenomenon but tenfold, involving baked potatoes, literal spilled milk, and OE forties. One of my dearest friends in the whole world, on the other hand, is the roommate that wasn’t bringing home a baked potato every day and hiding it somewhere in the room–I still talk to her nearly daily FIFTEEN YEARS after we first met. So I truly appreciate a book that delves into, and places so much importance on, the friendships women form in college. 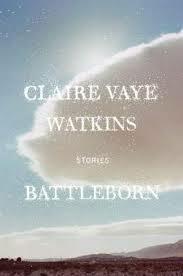 The two women at the heart of that first story weave through the rest of the book, as do characters that are peripheral to that first one, some of them emerging as the protagonists of other stories. The style that carries through all the stories is spare, economical and unsentimental. Even when characters are dealing with loss or behaving badly, the prose is clear and consistent. I had some serious reading disappointments in 2013, but I’m on a role in 2014–I’ve really loved everything I’ve read so far! Let’s hope the streak continues. My brother ordered this collection for me for my birthday but it took a while to arrive, and then the Ulysses ordeal intervened, so I only was able to buckle down and read it after the holidays. I’d heard Said read pieces of two of the stories–including the chilling one that appeared in the New Yorker–so I had an idea of what I was in for when I finally got to reading and I was certainly not disappointed. The collection is unusual, I think, in that it is linked–neatly and coherently–through premise rather than character. In almost every story, present is the idea of going to war. Whether it is the protagonist enlisting himself or sending off a friend or coworker, much of the circumstances surrounding the event are similar. In general, these men are not idealistic or going to fight for a particular cause, but instead to get positive attention of the sort they don’t get, and don’t necessarily deserve, in their everyday lives. Often, they toil in low-wage, low-imagination, and/or low-stakes positions, navigating bus strikes, heat waves, and generally demoralizing situations, and somehow latch on to the idea that going to war is the answer. Is it? Of course not. Throughout the stories, some of the same phrases and language appear in more than one place. At first, I was jarred by this–did he forget he already used this expression in another story? But I quickly changed my mind and realized how Sayrafiezadeh was tightening his book and the world in it. This all keeps happening, I thought. 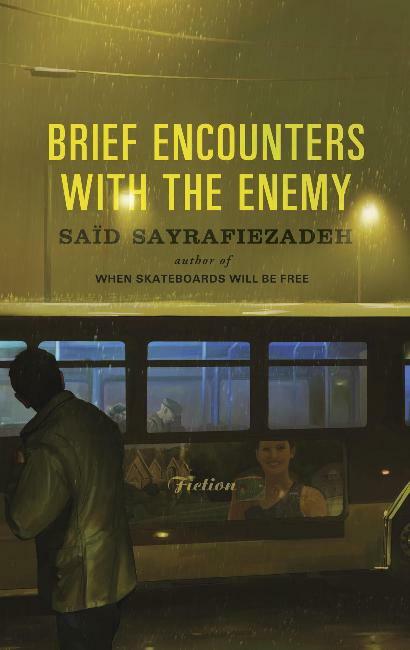 Despite the amazing consistency Sayrafiezadeh created to link the stories in Brief Encounters with the Enemy, I didn’t find the stories repetitive. For all their though-lines, they are singular, too. From a cartographer being proposition by his weirdo boss to an undocumented worker, disproportionate due to his mismanaged workout regimen, from a shoplifting rich girl love interest to a roller coaster date with a dreamy Orthodox Jewish woman, there is a lot of quirky, awesome stuff happening in this book. Highly recommend! I’d been hearing about this collection for months and was thrilled to receive it for Christmas. As usual, with collections I’m really loving, I read it too quickly. No matter how I tell myself to leave a break between stories, sometimes I can’t manage it. I considered holding off writing about Battleborn until I read it again, but since I probably won’t do that right away, I figured I might as well write about it now. I received a giant stack of books from some very generous soon-to-be in-laws for Christmas and wasted no time diving in. 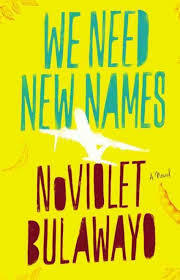 The first book I pulled from the mix was We Need New Names by NoViolet Bulawayo, which I’ve been coveting ever since reading the first two pages in a bookstore a few months ago. I tore through the novel, which is narrated by a girl named Darling. She is ten years old and living in Zimbabwe at the start of the novel, older and living in Michigan by the end. Her voice is immediate and unflinching. Early in the story, Darling and the pack of children she runs with come across a woman hanging from a tree. Entire novels have been built on moments like that, but in this one, it is mentioned almost in passing. Just the way Darling absorbs that sight and moves on tells the reader right away so much about her life and the lives of her friends. In the first half of the book, the Zimbabwe half, there is a pregnant eleven year old, militias, crushing poverty, AIDS, out-of-control church elders, starvation, aide workers snapping poor children photos, and yet the story isn’t depressing. Darling doesn’t elicit pity. She’s self-possessed but not precocious–she seems like an actual kid, not a figment of literature. When the action shifts across the world to Detroit, and to Darling’s new struggles living with extended family and trying to navigate a world where it snows, where there is enough to eat, but where she is brutally teased for being African and loses her grip on what had been extremely close bonds with her friends, the book becomes harder. Not harder to read or enjoy, but harder to handle on an emotional level, for me at least. The thought that in some ways we can do worse by kids here in this country than they do by themselves in a place where they have no access to essentials like food is pretty deranged. There is a really poetic chapter in the middle of the book that is told in a sort of out-of-time, out-of-body omniscient voice; it uses the phrase “things fall apart” which was a nice reference, I thought, to what is probably the work of African literature most read in the United States (that’s my unsubstantiated guess). There is another similarly out-of-time chapter a little later on about what becomes of African immigrants as they grow older–it was desperately sad and beautiful. But don’t read this book for the politics, or even the story–read it for Darling’s voice. It is singular, beautiful and unforgettable.